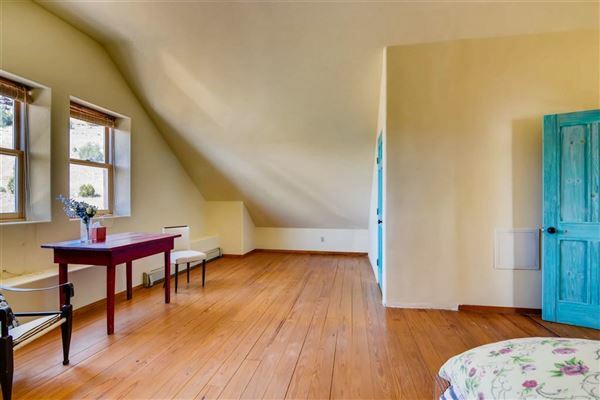 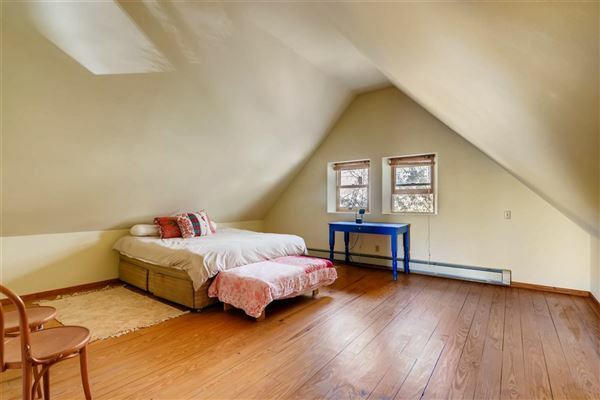 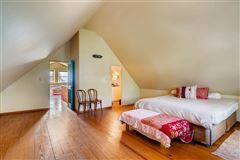 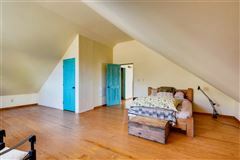 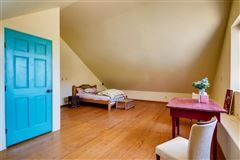 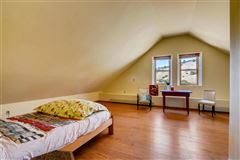 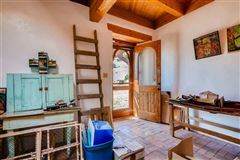 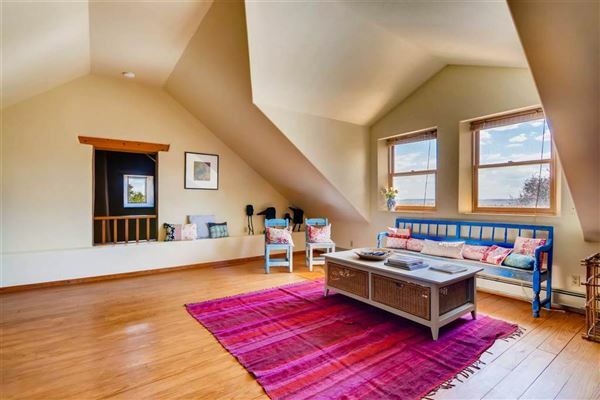 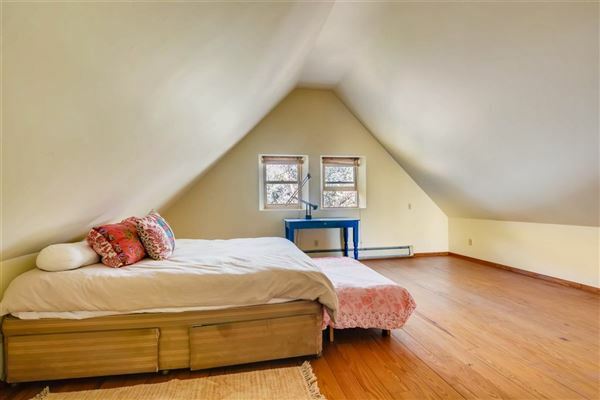 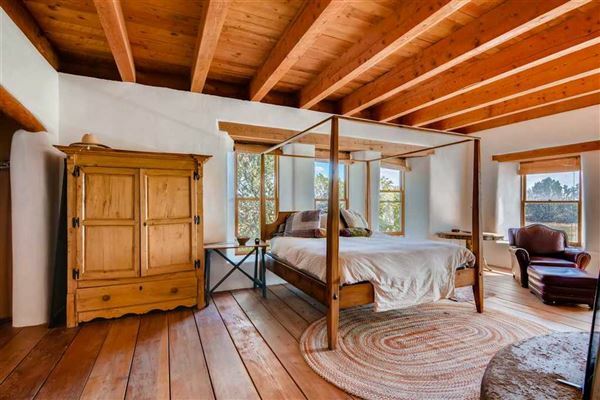 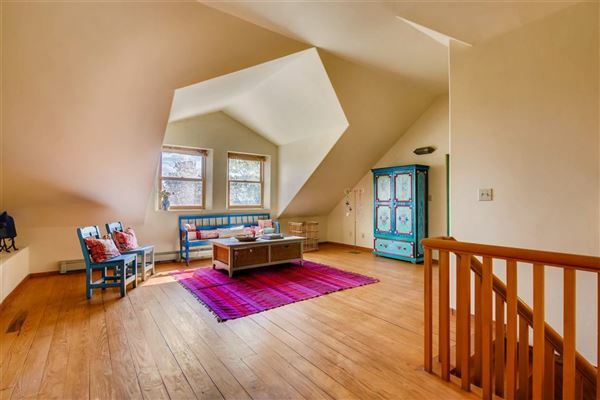 A unique opportunity to live in the home once occupied by Tony Award winning playwright, writer of the Elephant Man, Bernard Pomerance. 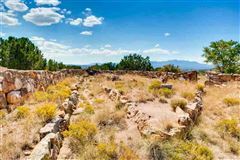 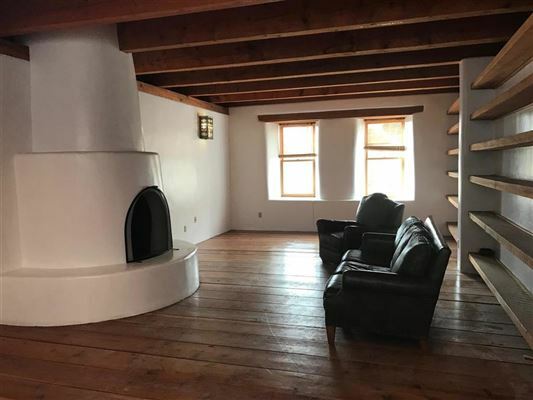 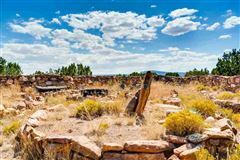 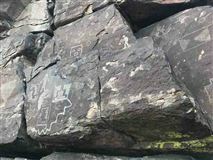 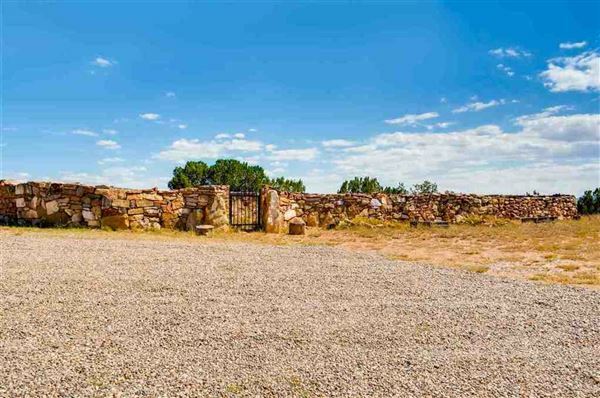 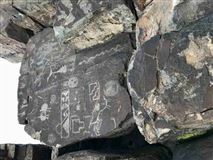 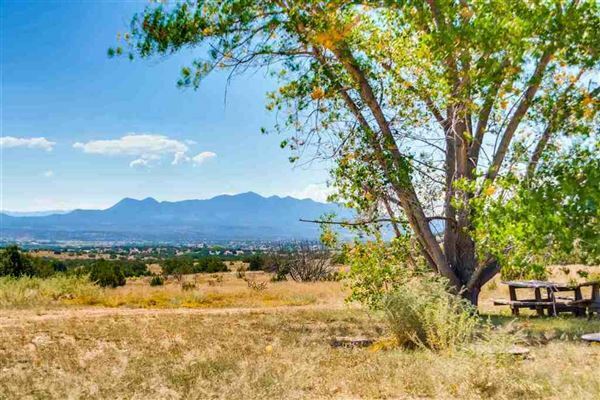 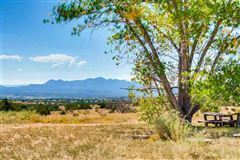 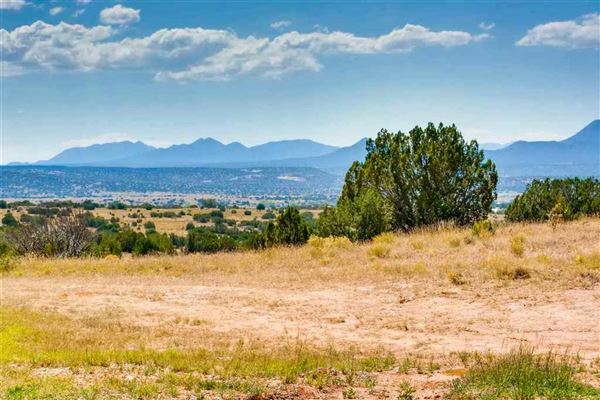 Also, the only property in New Mexico with 50,000 feet of Sacred Native American Petroglyph art. 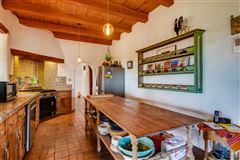 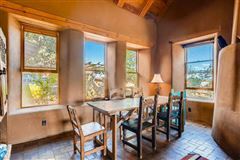 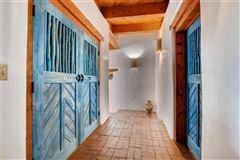 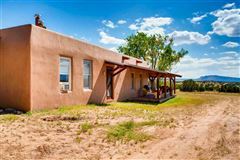 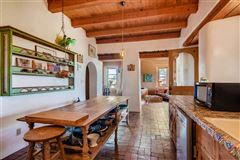 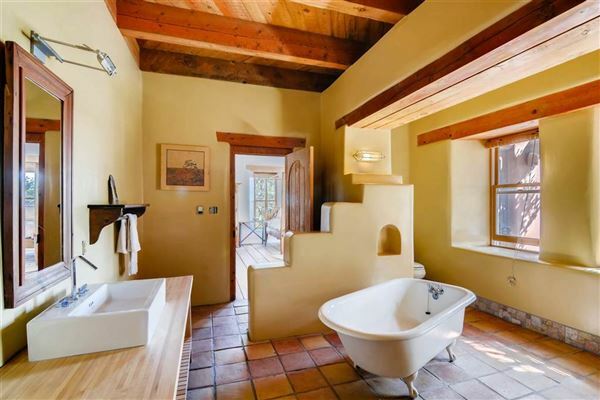 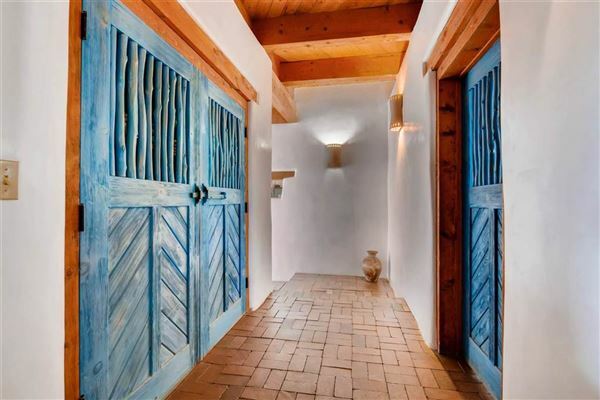 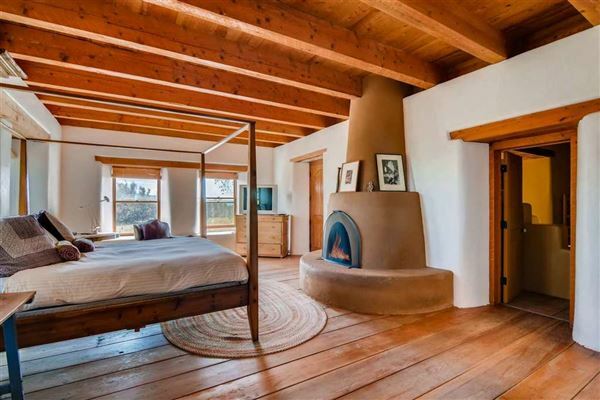 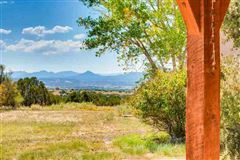 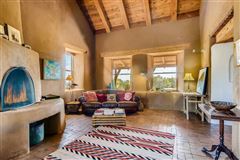 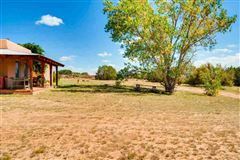 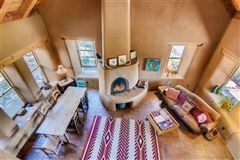 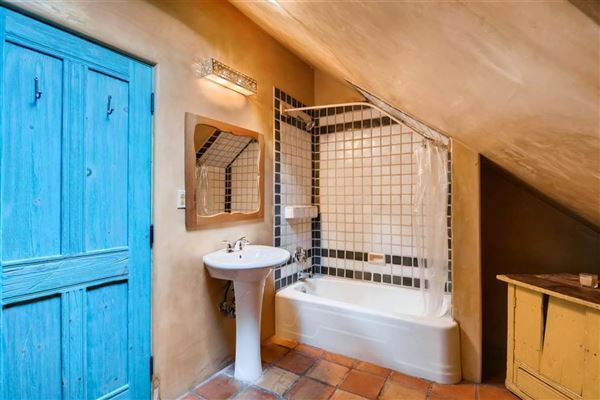 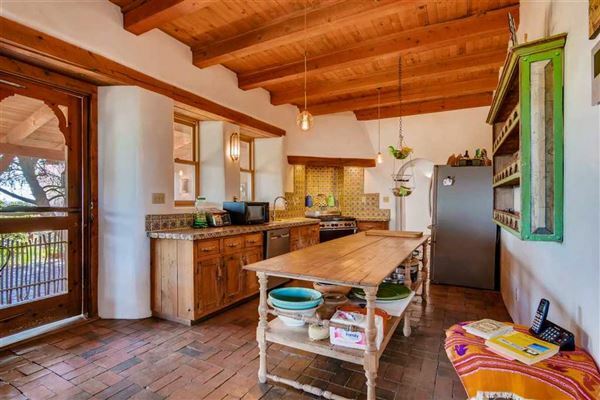 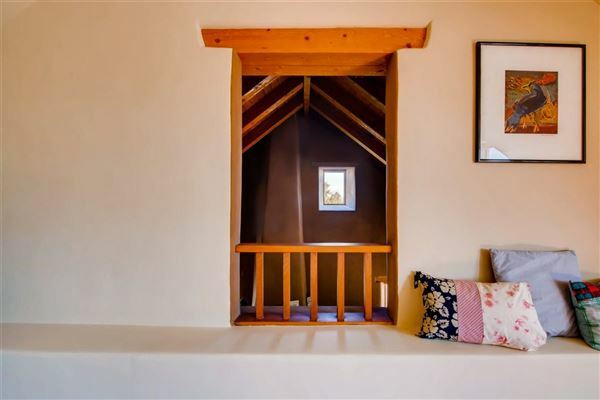 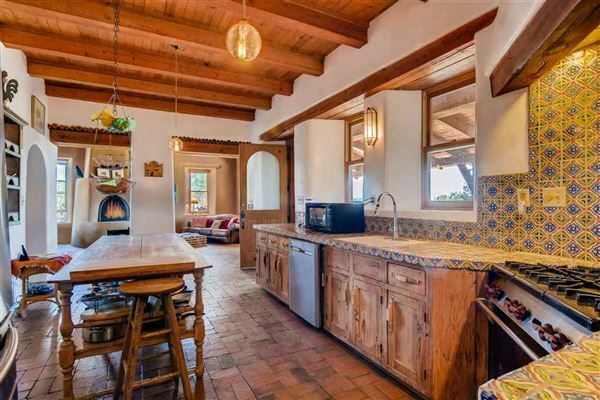 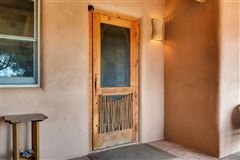 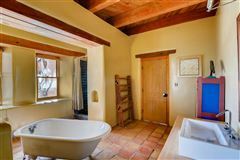 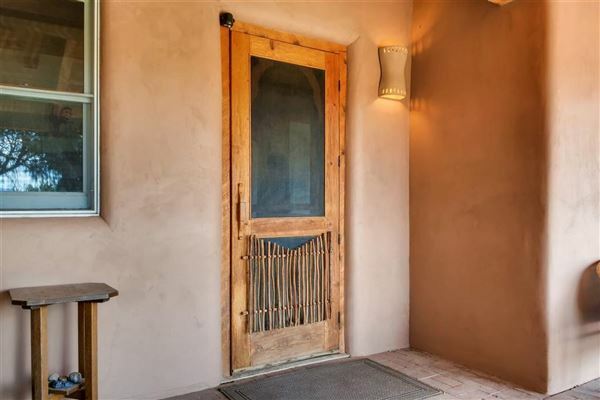 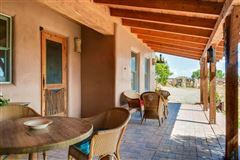 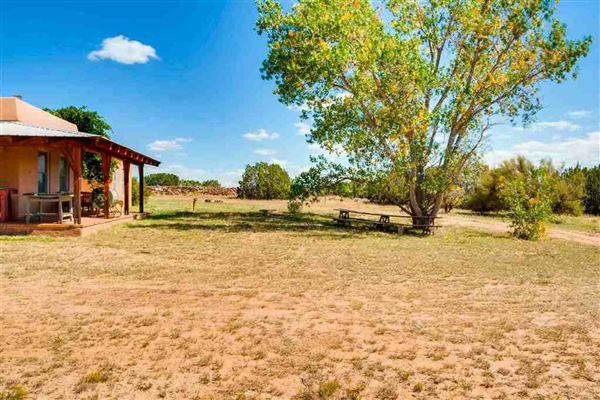 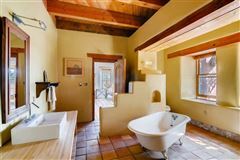 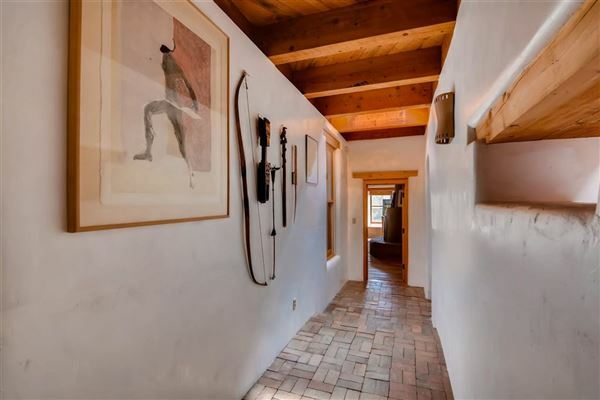 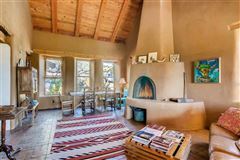 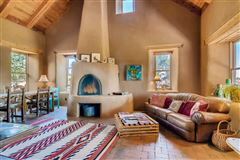 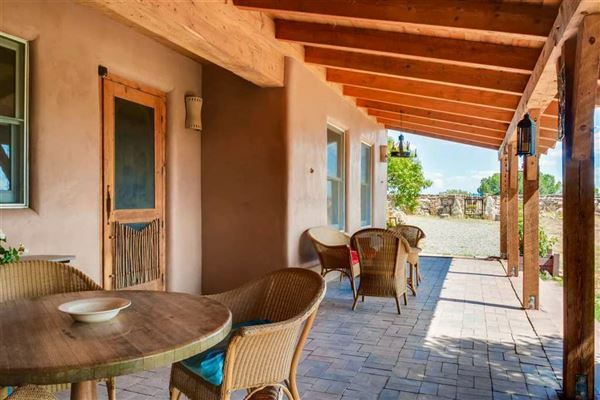 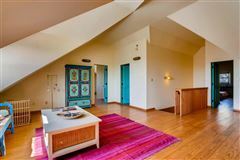 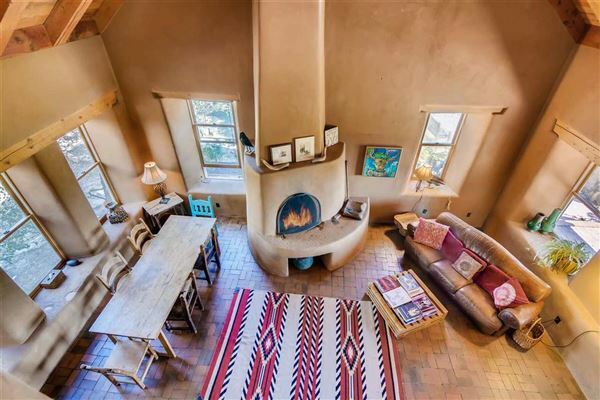 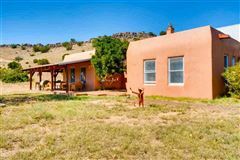 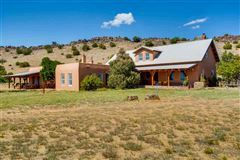 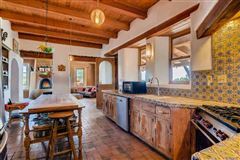 This 5,600 rammed earth five bedroom house was designed by celebrated artist Judy Chicago and nestles in the unspoiled 16th century Spanish Village of Galisteo. 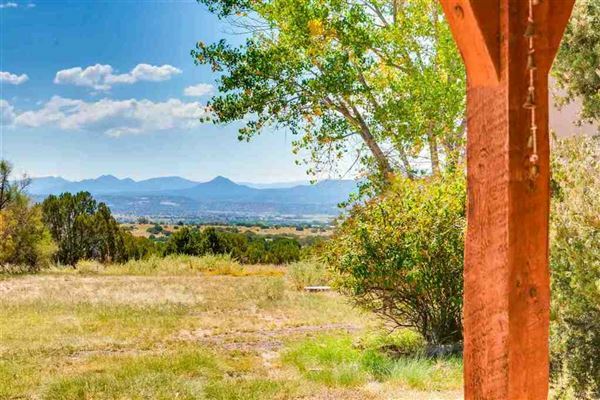 Many great artists have drawn their inspiration from this magnificent landscape: Darren Vigil Gray, Fritz Shoulder, Judy Chicago, Bruce Neumann and Susan Rothenberg to name a few. 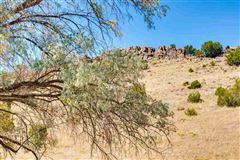 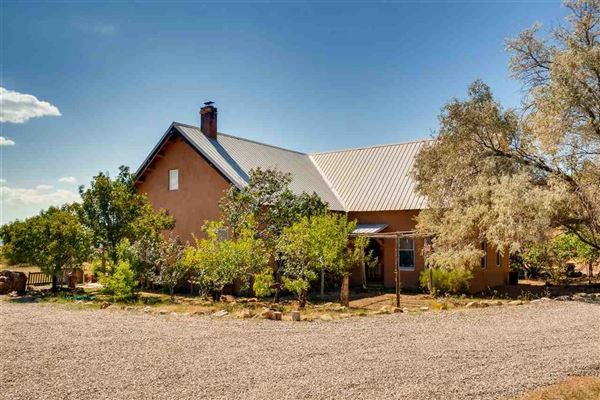 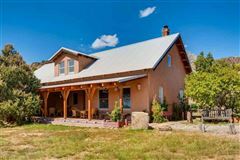 Magic and spirituality resonate from the sacred surrounding hills dotted with juniper and pinon bushes. 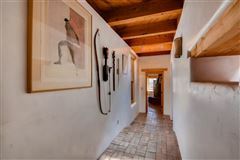 This house also boasts its own stone enclosed rock garden perfect for organic vegetables and fruit trees, including peach, plum apple and pear, add to the uniqueness of the property.